Until a co-worker walked by my desk today and pointed out how quintessentially "American" my jug of peach iced tea was (courtesy of Crystal Light packets my mom had brought over during her visit), I forgot how frequently we chug this delicious summer beverage back in my home country. 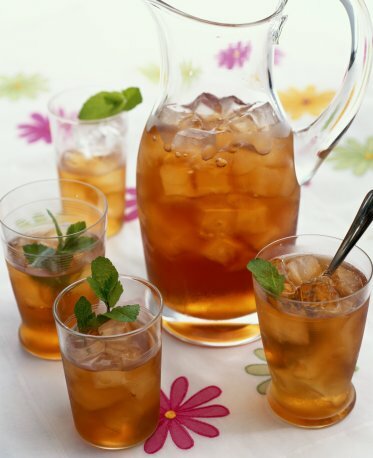 My mom used to make "sun tea" - her version of iced tea on our deck at home in the summer in a giant jar equipped with a spout at the bottom so you could fill your glass straight from the source. She put a lot of lemons, sugar and tea bags in to whip up a refreshing cold drink for those hot Washington summers (when it wasn't raining - so basically, like it is in London). 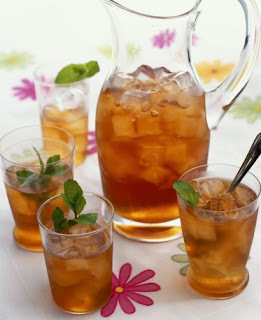 I miss having the different varieties of iced tea there, which are as ubiquitous as lemonade (not Sprite, which Brits refer to as "lemonade" but you know, the good ol' tart stuff) in restaurants during the warm summer months. In particular, I miss Honest Tea, which bring back great memories of grabbing lunch from Blanchard at MHC and even the mainstream bottled teas, like Snapple and Arizona. And I'm sure that now that I've been out of the US for a few years, there are some even better tasting cold teas out there waiting for me to sample during my next visit. For now, the packets of Crystal Light stored in my desk drawer will have to suffice.